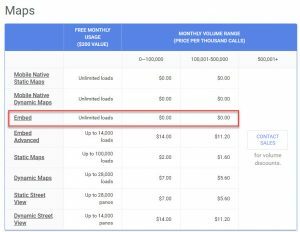 Flying under the radar are changes to how Google supplies its map services. As of June 11th they became billable. Yes that right, you have to pay for them or do you? First the changes. Google Maps used to have keyed and keyless access to its APIs. As of June 11, keyless access is no longer an option. All access requires a key. To get a key, you need to sign up to use Google Maps. When signing up you now need to set up a “billable” account, meaning you have to add your credit card details. To ease this in, existing accounts have until July 26th to transition. After that, you need a key linked to a “billable” account. 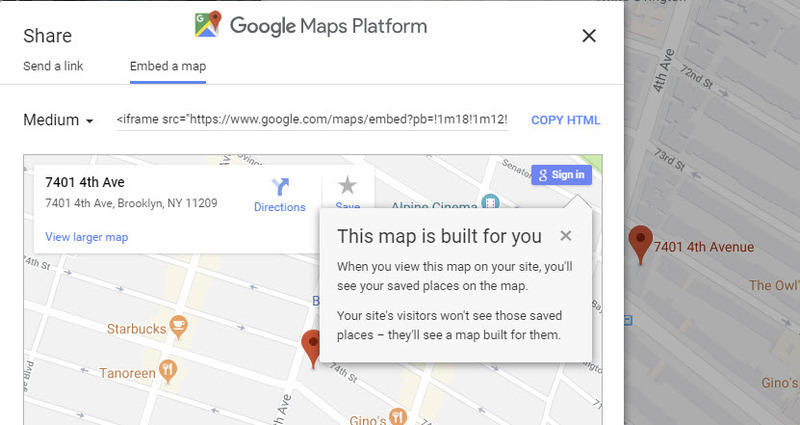 Initially we believed that sites that simply embed a map using embed code from the Google Maps site itself were not impacted. Looking at the terms of services when using embed code, it states they are but it is still not clear if this only applies to developers or everyone. If it is only developers then the way to avoid while billable account fiasco is to swap out your “API” driven map for one you embed (see below) as actual content. However the more we read the documentation the less clear it is whether this will still work. 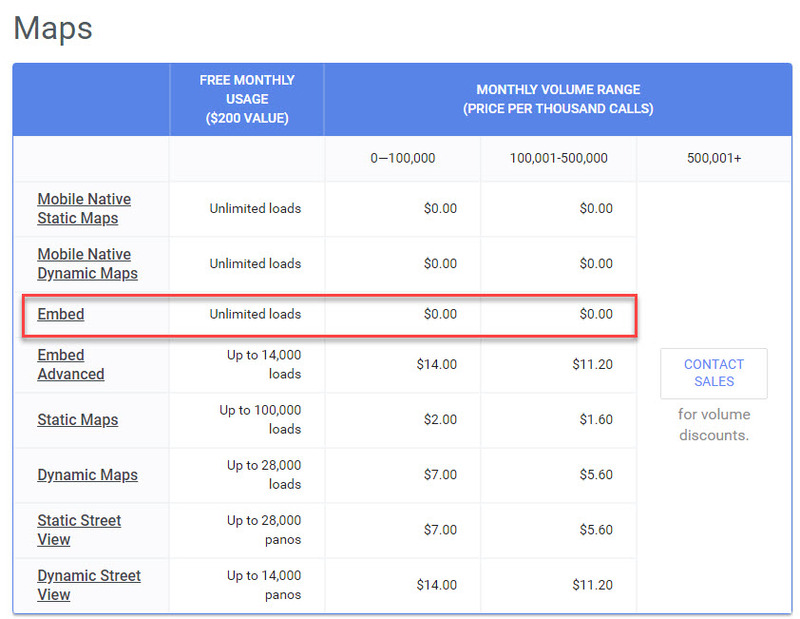 If you look at the Google Map pricing table the Embed is listed. The good news is that its use is completely free. Overall the bad news is being forced to give Google your credit card details for no reason whatsoever. If you have a find your store option where interactivity is involved you probably will need to sign up for a billable account. So how will you know? Check on July 16th and see if it still works. Kind of a lazyload way to do it but possibly more expedient than wading through their documentation. At the time of writing this works. Go to Google Maps, enter your address, then link on teh Share link. Choose the Embed a Map option. Copy the embed details. Edit your site page. If you have API code on the page, remove it. Then paste the iframe code to replace it. you might want to adjust the width and height to suit your page.